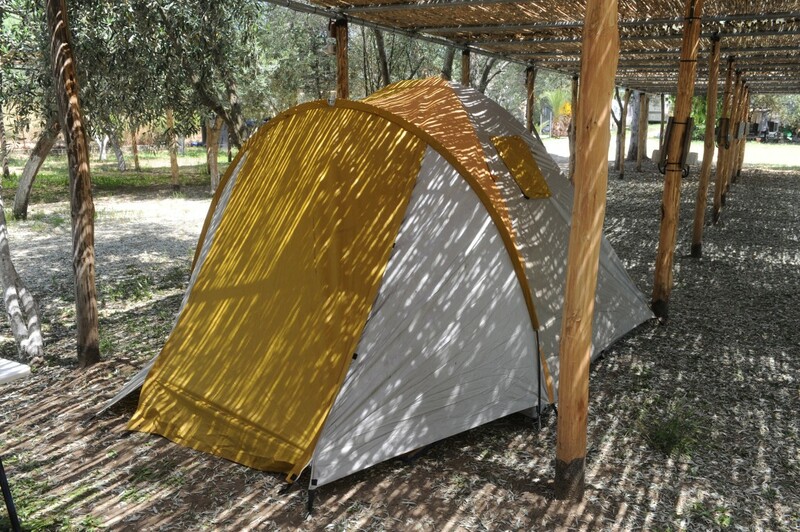 Camping Alikes Ammouliani offers space for large or small tents. 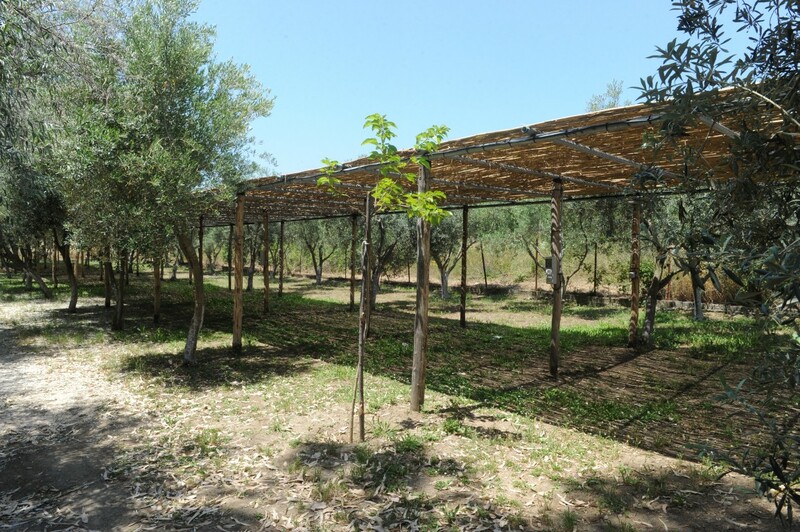 All spaces are sectioned, offering natural and artificial shade from trees and man made canopy’s. 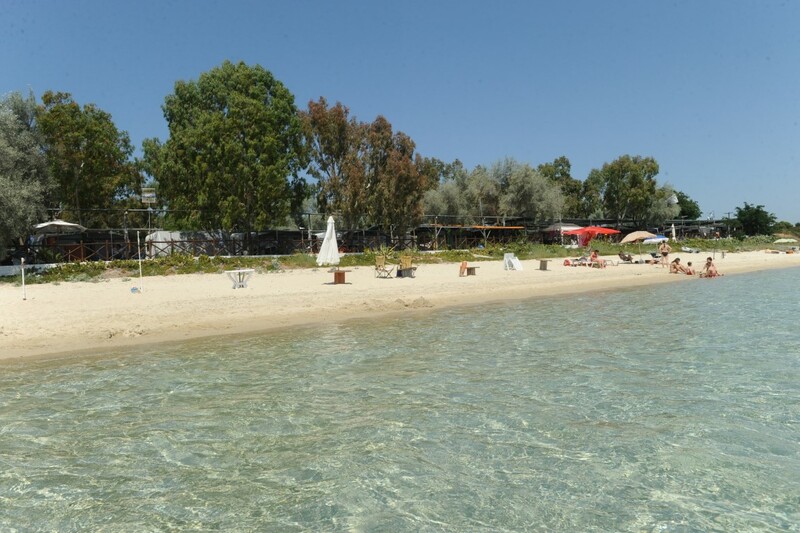 There is 220oW electricity supply (with extra charge of 1€ per night) available for every tent. Closeby you will find 2 WC and bathing facilities and 2 kitchen cleaning and clothing cleaning facilities. Additionally there is 24-hour hot water supply.